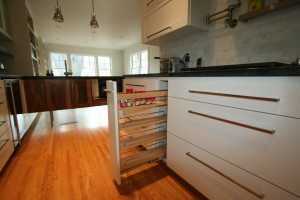 We always tell our clients the most difficult part of a kitchen design isn’t picking the door style or stain color, but designing a kitchen that functions well. Of course, everyone spends time thinking about and dreaming about what that dream kitchen will look like. 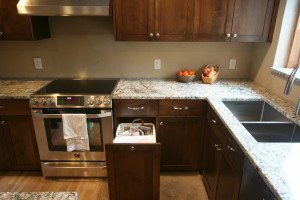 But we also want to spend time talking about how you will use that kitchen and how to keep everything organized and easily accessible. 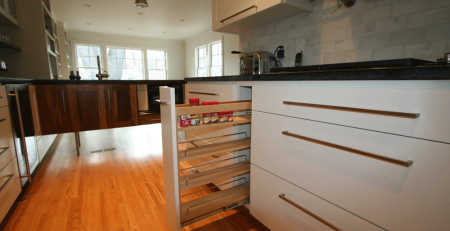 Here are some ideas we’ve used in our clients homes to help their kitchens function better. Some of these are in our new cabinets, and some we’ve retrofitted into existing cabinetry. Trash roll outs are one of the most requested items in both our new kitchens and in our retrofits. But we like to take it a step further. A second trash or recycling makes sense if you have a large family or entertain often. 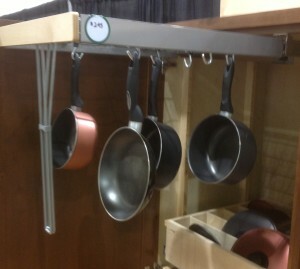 Pots and pans! We all get tired of digging to the bottom of the stack for the pot and then trying to find the lid that goes with it! Here’s one of our favorite solutions. 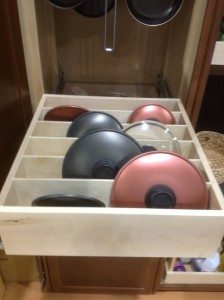 Tray storage is another issue for many people. Here are a couple of options. Of course, roll outs help organize all your pantry items as well. What is the use of a big deep pantry if you can’t see what you have. 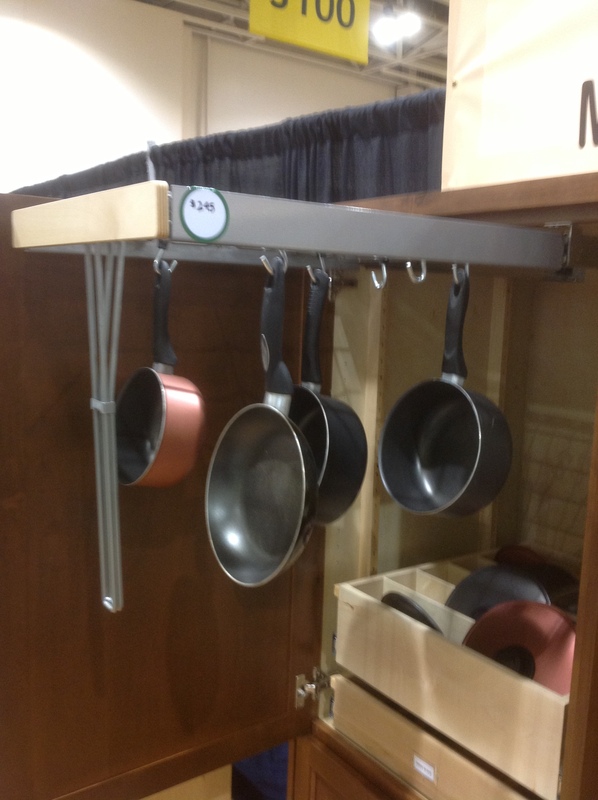 Replace those shelves with roll out shelves to gain additional storage and accessibility. 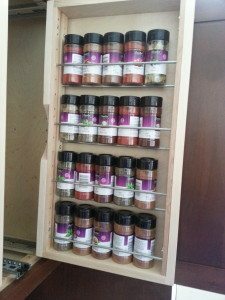 Spice storage is another big issue. We all love our spices! Finding a place to keep them organized and easy to find makes cooking much more enjoyable! There are lots of ways to store them besides on a turntable in an upper cabinet!